I am always in search of new ways to make my chicken recipes tasty. This recipe for chicken tastes better than it looks. Chicken and tomato recipes with ripe tomatoes are something special for a weekend dinner during summer. The inspiration behind this recipe is quite interesting. I used to peep into the refrigerator for easy breakfast ideas on weekends. That day, I found some leftover chicken and tomato curry in my refrigerator. As weekends are a lazy day for every moms and wife, me too just mixed those leftovers together and turned into a new dish for serving with dosa. That was an excellent twist which leads me to try this recipe. 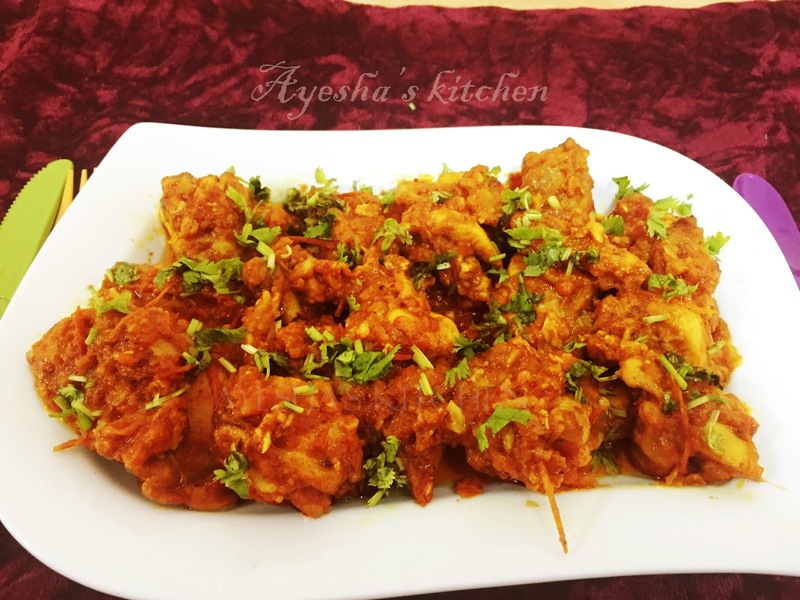 Hope you will enjoy this spicy chicken curry recipe. Here is the recipe showing how to make spicy tomato chicken. Marinate the chicken with turmeric powder and salt. Then cook the marinated chicken until half done. Keep the half done chicken and the chicken stock aside in a separate bowl. In the same vessel, heat some oil and once hot, add sliced tomatoes. Cook till the tomatoes become mushy and the oil separates (oil must float on the top). When done, add green chilies, ginger garlic paste, turmeric powder, Kashmir chilly powder, salt and mix well. Combine it well and cook for few minutes over a medium flame. After few minutes add chicken stock and cook till the raw smell goes off. Then add the cooked chicken pieces to it and mix well. Again cook for few minutes and add tomato sauce(optional).